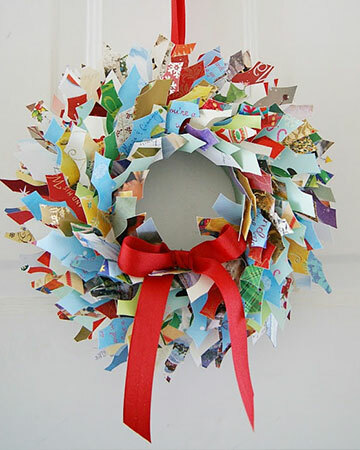 The holidays are a special time for reflection, heart felt sentiments, and most importantly giving. As the year winds to a close, I always take time to think about how lucky I am to have people in my life that care about me and the experiences I’ve been lucky enough to share. The magic of the season always seems to make our hearts bubble over, and it just feels right to share that joy with others. As always, handwritten holiday cards are the perfect form of expression for me. I love to share a few memories and let people see a brief snapshot of my life. I hear countless people say: I don’t have time for Christmas cards this year. For me, this is the time to celebrate friends and family and a few extra hours spent writing out my cards no matter how tired I am, feels right. No matter what, I can tell you for sure, people treasure holiday cards. I have a box of holiday cards dating back 20 years. I treasure them, and love to watch how the designs have evolved over the years. 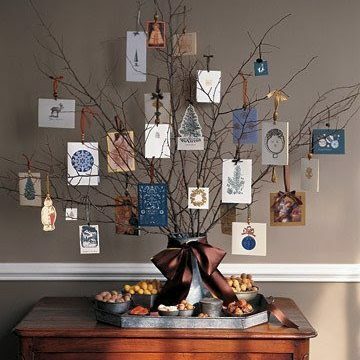 I’ve attached a few images of things you can do to decorate with holiday cards. 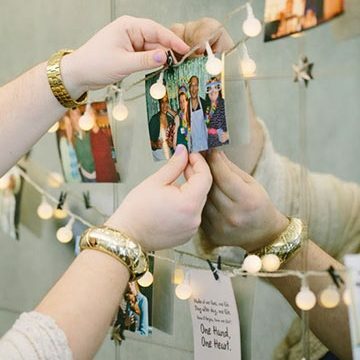 However, there are other ways to share in the magic of the gift giving season. I’ve seen a several worthy causes on social media this season, so I thought I’d share them. Send an 8 year old girl who was the sole survivor of a fire a Christmas card. That’s her only wish this holiday. You can send card here: Cards can be mailed to: Safyre, P.O. Box 6126, Schenectady, New York, 12306. If you choose a card from Sent-Well, you will receive 40% off, using the code SAFYRE at checkout. Read more about her story here: Safyre. Send Santa to the Soldiers! This is a really nice one. You can easily donate $25 to sponsor a care package to troops, helping them have a small piece of home for the holidays: Operation Care Packages. There is also this site: Operation Gratitude. The date has passed to send holiday cards to the troops, but New Year’s is coming, as well as Valentine’s Day – and I’m sure any card from home is appreciated. If you plan to shop on Amazon this season, you can go to Amazon Smile, and choose the charity of your choice. As you shop, your charity will get 0.5% of your purchase amount from Amazon Smile. There are countless ways to brighten someone’s day this year no matter what your budget is, so have fun and enjoy the spirit of the season! Wishing you all the very best this holiday!